Snapchat's video-recording Spectacles became available to buy in the U.S. on Thursday, not online or in stores, but from pop-up vending machines. Called 'Snapbots', the giant vending machines will dispense the Spectacles in either Black, Coral or Teal, and allow customers to try them on virtually using a built-in augmented reality display. For those unfamiliar with Snapchat's first hardware product, the $129 Spectacles are a one-size-fits-all pair of sunglasses that can record 10 seconds of video at a time and sync wirelessly with the mobile Snapchat app, which was updated on Tuesday. According to Recode, Snapchat plans to deposit the machines "soon" throughout the U.S., with the first machine appearing in Venice Beach, California. Reminiscent of Snapchat, the machines will only remain in one location for a day before being removed. 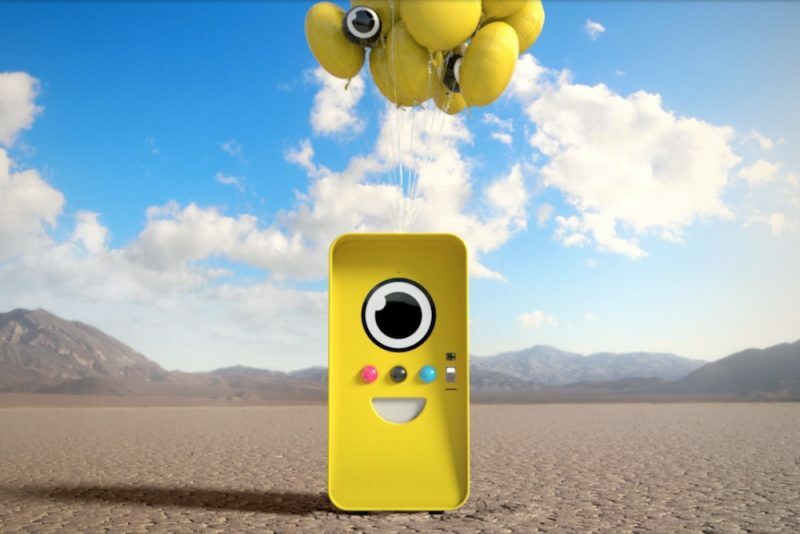 The company said it will announce new Snapbot locations 24 hours before they appear, via the "Find a Bot" map on the Spectacles website. Upon discovering a bot, customers press one of the large circular buttons to 'try on' their chosen color of sunglasses, after which they must insert a debit or credit card to purchase. About 10 seconds passes as the transaction is processed, before the Bot's mouth lights up and the spectacles are dispensed along with a receipt. Snapchat, now dubbed Snap, has been developing the Spectacles for years and considers them "a toy" best used at concerts and outdoor events. Snap CEO Evan Spiegel said the limited-distribution product was made "because it's fun" and the company wants people to figure out if the glasses fit into their lives. I can't wait for this company to fail. Because they made a product you don't want lol? I don't want an AirPort Extreme or a MacBook so I hope Apple fails. The marketing is genius. When the glasses were first announced I said what a dumb product. The exclusivity makes me want one and it's still a turd product. This is actually a brilliant way to create demand for a product not many people would want otherwise-- Make it about exclusivity through random chance of finding a box nearby, impulse purchases out of fear of missing out, and being the 'cool kid' who has something others don't. I'm not saying that placing value on those ideals makes us better as a society, but that's how the world seems to work. Reminds me of something from the show Black Mirror. Absolutely brilliant marketing and distribution. And fun to boot. The more I read about Snap and their CEO, the more respect I have, from location of offices outside SV, to developing a fun product that looks to all extents like a Trojan horse to other markets, to marketing like this. Doing something and having fun. Good for them. And I can't wait for your employer to fail. No actual reason behind it. Much like your post.